SpaceX's third attempt appears to have had an anomaly at around 2:10 into flight. SpaceX will post any information to its web site when it becomes available. SpaceX has announced that it plans to launch its Falcon 1 as early as 2 hours from now -- 7 PM Eastern Time. You can follow along by watching the webcast on the company site, which will begin at 6:30 PM Eastern. If the rocket doesn't launch today, the company has the range booked for several more days to try again. I am confident in SpaceX's ability to complete this mission. The company appears to be approaching this launch more professionally than the two past missions (and more expensively, but let's leave that aside for the moment). That said, I am nervous to see it launch, given the history of rocket flight. The way that we progress in this world is by a number of us working hard on projects and risking embarrassment and failure. Sometimes the odds are long and the payoff unclear. No matter the outcome of this launch and even if a successful launch only marginally reduces the costs of getting to space, I feel like SpaceX has contributed a great deal by trying something new in a business that has seen so little innovation for the last few generations. I have been following the company's progress for over four years on this blog, and I feel some personal satisfaction to see everyone at SpaceX continue to try for the heavens. So good luck to SpaceX and godspeed Falcon! This may be presumptuous, but I have not met anyone who could do this. . . Well, wait, that's not true. Jeff Bezos could do this. Larry Page could do this. Bill Gates could do this. But there's just a really small list of people with the sufficient technical and business ability to do this job. It's nice to know that two out of the three people who he mentions are indeed involved in the new guard of the space business, in one way or another. However, I chuckled when Chafkin wrote of Musk's marveling at the 60-foot ceilings at the new SpaceX headquarters in Hawthorne: "There's something strange and touching about a man this intent on reaching the heavens who can pause to marvel at a really high ceiling." I daresay that Musk had Mars in mind rather than merely a neat high ceiling. The first stage of the Saturn V has a diameter of 33 feet. Some of the kerosene-fueled Nova "Mars Rocket" designs had first-stage diameters of about 70 feet. I question the advisability of going with jumbo rockets, but if you are going jumbo, then you need very high ceilings. The Falcon 9 -- a large rocket -- has a diameter of 12 feet and was bumping up against height constraints at the old factory. I would be interested in knowing the dimensions of SpaceX's new hangar that's under construction at Cape Canaveral. It might give us some clues about the maximum size of the rockets that Musk is contemplating. Why Would RpK Want to Continue COTS? Rocketplane Kistler (RpK) has written a letter to NASA seeking to overturn the agency's decision to terminate RpK's COTS Space Act Agreement. NASAspaceflight.com has some interesting excerpts. In the letter, RpK has a delicate task: (1) It must state that all of RpK's problems are due to NASA actions; and (2) it must state why NASA should reconsider its decision even though RpK is saying such bad things about the agency. I don't blame RpK for making its case robustly, but I wonder why RpK would wish to continue COTS, especially if what the letter says about NASA is true. COTS contemplates RpK putting up most of the money -- 70% -- for the program, after all. As stated previously, I have a minimum of high regard for the way that NASA has done businesses in the past. It is not a reliable partner. Its actions are at best capricious. NASA is the type of customer where you don't know for sure whether the checks will clear. Given these attributes, why would any reasonable businessperson put NASA on a critical path? Fiduciary responsibilities to shareholders dictate otherwise, even if your stomach or conscience could take it. It appears to me that NASA was realistic about its attributes when it structured the COTS program. The program only makes sense for a business if NASA is perceived as an expendable junior partner -- i.e., if the business were going to do a program like COTS no matter NASA's involvement. This structure also protects the American taxpayers against a bait-and-switch from a commercial program to a traditional government cost-plus program. Apparently, RpK's business plan conceived of NASA's business as central to its plan. Once RpK's Space Act Agreement is terminated, we could have another round of suitors for the COTS money. But none of these other suitors appear to be designing and building hardware no matter NASA's actions. They all appear to be waiting for NASA to be the senior partner. In this respect, probably they are in the same position as RpK. I note that there are other programs out there that don't appear to be angling for COTS money -- Armadillo Aerospace and Blue Origin are two examples. Lastly, of course there is SpaceX, which is receiving COTS money, but had its Falcon 9 rocket and Dragon capsule in development well before COTS. SpaceX appears to have approached COTS as an opportunity to do some marketing with NASA for space station-related and non-space station-related business. On July 26, Elon Musk was the guest for The Space Show, with Dr. David Livingston. Clark Lindsey has a good summary of the key points made, so I will not list my own notes here. One item that I think is especially noteworthy is that Musk confirmed my suspicions that the scale of operations contemplated by SpaceX in the COTS competition is well above the 300 to 400-employee "small company" range (arbitrarily defined by yours truly). In the interview, Musk mentioned that SpaceX likely will be at 500+ employees next year -- about one-fourth the size of the Delta IV and Atlas V operations. In my August 2006 post, I mentioned that SpaceX will put in upwards of $200 million of its own skin in the COTS venture versus $274 million for NASA. Subsequently-released information appears to suggest that SpaceX's investment is much larger -- perhaps in the $400 million to $600 million range. Certainly, the COTS business, as currently imagined by Musk and NASA, requires very substantial financial wherewithal and bureaucratic scaffolding. I wonder where SpaceX's head count will top out? To be honest, I don't know why the t/Spaces of the world are so eager to sign up for similar deals with NASA, should RpK fall out of the COTS business. COTS doesn't seem to make much sense as a primary/sole customer justifying such a large commitment. Perhaps this is part of the reason why RpK is having hiccups pitching its business case to investors. To be sure, RpK is extremely sensitive when NASA fine-tunes the timing of its COTS resupply manifests, as if such fine timing will make or break the business case for the company. 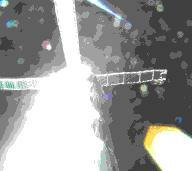 This brings us to the hypothetical of what should be done by NASA if SpaceX or RpK exits COTS. Should it: (1) Solicit bids for the unused development money; (2) give the unused development money to the surviving COTS company in order to accelerate development on the manned option; or (3) use the funds for other development? I haven't settled on an answer to this questions, but my conspiracy theory has been that Griffin and his team set up COTS such that it would be difficult for anybody other than a company with a business case remarkably like SpaceX's to complete the regimen successfully. Bring your Deep Woods Off! That was the first lesson I learned last weekend while visiting Wallops Island, Virginia, the site of the Mid-Atlantic Regional Spaceport on the grounds of NASA's Wallops Flight Facility. After 10 seconds in the grass in front of the NASA visitor's center on the mainland taking photos, I had a dozen mosquitoes on my legs, sucking away happily. This was much more than I had bargained for when I planned my weekender on the Virginia Eastern Shore, about 3 hours drive from Washington. A photo of great price; mosquitoes take no prisoners at Wallops. 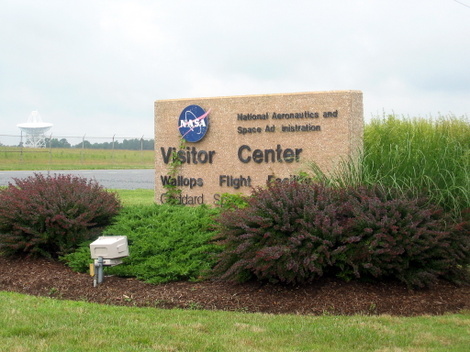 Wallops Island is a several-mile long barrier island a mile or two off of the mainland Atlantic coast. North of the island on Chincoteague Bay is a causeway from the mainland to Chincoteague, a small summer vacation town serving beachgoers who are visiting nearby Assateague Island. 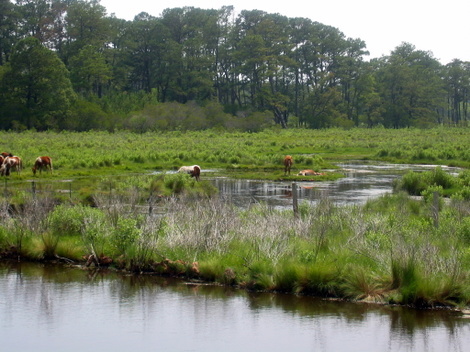 Assateague Island's claim to fame is the wildlife refuge that is inhabited by herds of feral ponies. It is interesting to see the ponies thrive in such marshy conditions. Feral ponies in the marsh along the side of the road on Assateague Island. On Assateague Island there is a couple-mile long beach, which serves as the primary attraction. The beach isn't impressive compared to the many miles of public beach along the Space Coast, for instance. Also, the water was a little cold for my taste. 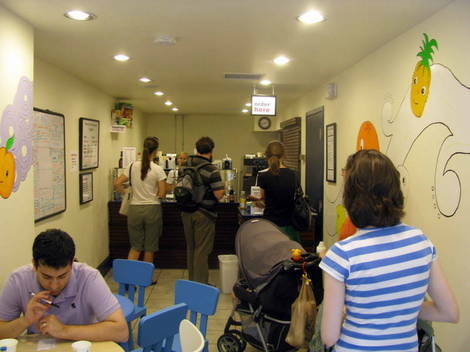 But it serves well enough for those who don't make the short trip North to beaches in Maryland or Delaware. The town of Chincoteague faces West to the bay. 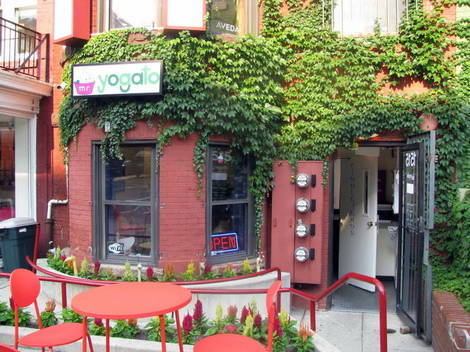 The town has a few excellent places to frequent. I especially enjoyed the lasagna at the plastic-tablecloth Maria's Restaurant on Maddox Boulevard and the homemade pastries and bread at Sugarbakers on Main Street. Of course, there are numerous seafood restaurants. There are plenty of outlying housing plots on the bay that are accessible by dirt roads. For those who enjoy fishing out on your boat, this is the kind of place for you. It has the feeling of remoteness, while being no more than a mile or two from town. 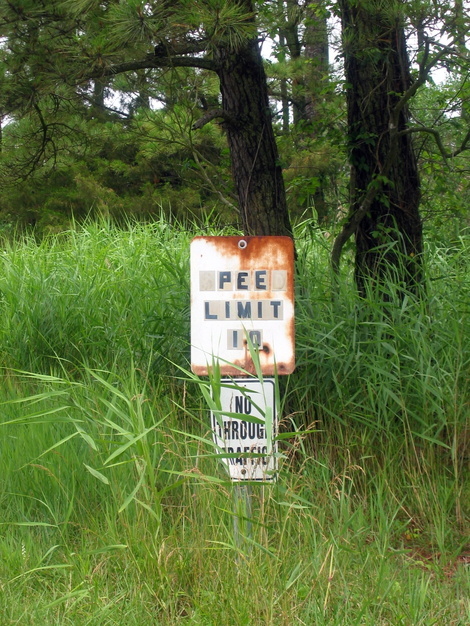 A local wit is unleashed on the signs along the mud roads of Chincoteague. 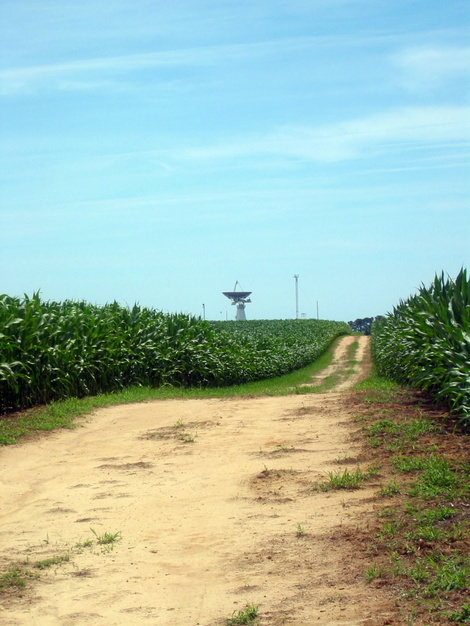 There are several good places from which to watch launches on Wallops Island. 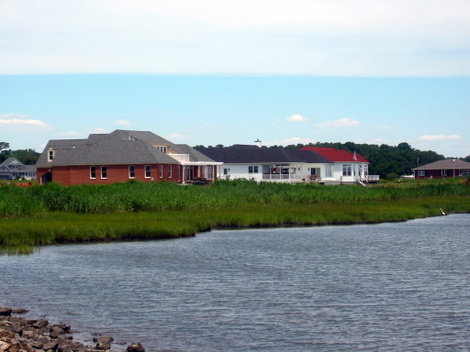 The residents of Chincoteague go to the southern tip of the town at Curtis Merritt Harbor. 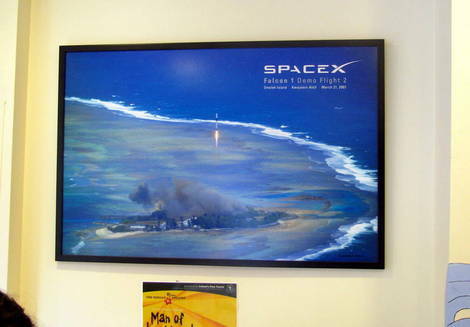 The docent at the NASA visitor's center on the mainland suggested watching from the visitor's center. She said that the center opens a couple hours before launches (even late night launches) and that they have a viewing along the nearby waterfront. She also mentioned that they have a small auditorium where the main press conferences are held. This appears to be where all officialdom gathers. Also, sometimes the beach on Assateague Island is open for launch watchers. The closest points to the launch towers appear to be along the mainland bay shore West of the facility -- only about 2 miles between the pads and the shore. Since rockets head Southeast from the pads, the rockets would launch away from the shore. For this reason, it might be that you can see the rocket's trajectory longer if you watch from Curtis Merritt Harbor, even though it is slightly farther away. 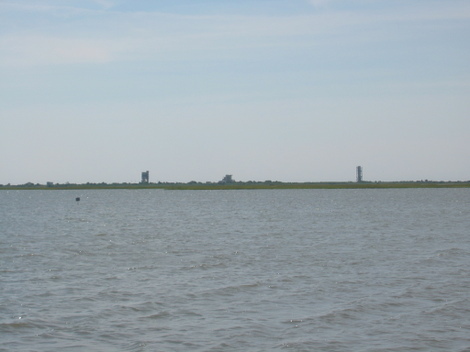 The view of the towers from the bay shore West of Wallops Island. The bay shore facing the facility isn't heavily inhabited. Most of the land hosts farm fields and chicken farms. But there are shore plots marked off and for sale -- something of a budding land speculation. Some few houses have been built already. These houses appear to be quality, although not luxury. New houses along the mainland bay shore on Channel Road (if I recall correctly). The town of Atlantic is the closest to the mainland bay shore, but there isn't so much as a gas station in town. This fact became of some importance when I got my rental car stuck in the marshy land at the end of Arbuckle Neck Road on the bay. The closest tow truck was about 30 minutes drive away and my cell phone was out of range. This is an area surprisingly unforgiving to city slickers. An amazing Good Samaritan fishing with his family on the bay let me drive his truck to the closest gas station, where I was able to call a tow. What a lesson in charity! Earth and heaven meet on Arbuckle Neck Road near Atlantic, Virginia. The corn is well more than knee-high on the Fourth of July. As you may know, SpaceX and NASA are in preliminary discussions for the Falcon 9 to launch from Wallops for International Space Station servicing missions. After visiting the area around the spaceport, it strikes me that the rocket is large for launching as close as a couple miles from inhabited areas. I do not think that Wallops has launched a rocket even close to the size of the Falcon 9. Also, the infrastructure in the surrounding area -- such as roads and railroads -- doesn't appear to be suitable for large rockets. I guess SpaceX would have to barge its rockets in. But if SpaceX does launch from Wallops, it would be quite a sight to see. Overall, while I have been skeptical about how hospitable a spaceport on a NASA range would be for commercial launches at a high flight rate, I am keeping an open mind on Wallops, at least as far as space station servicing goes. As I was made to understand, Wallops is the most active NASA range, and it deals almost exclusively with small launches and sounding rockets. Maybe SpaceX can make it work. Bigelow Aerospace confirmed that the Genesis II space station test module was successfully launched and that the module has deployed itself. Hello Earth. 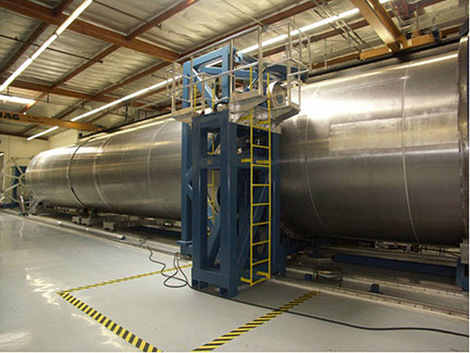 It's heartening to see Bigelow Aerospace execute according to plan so far. C0ngrats to Bigelow! Spaceflight Now is reporting that Bigelow Aerospace's Genesis II test space station module was launched from Yasny, Russia at 11:02 a.m. Eastern time. Bigelow will have a clear picture of the success or failure of the launch and initial deployment of the module some time after 7:00 p.m. Eastern this evening. The company's gross margins on the Falcon 1 are in the single digits, while its gross margins for the Falcon 9 are healthier. On another note, Wired has a nice cover article about SpaceX in its June edition, with a play-by-play of the March launch of the Falcon 1. Some of the nicer parts of the article are the large pictures, especially a full page head-on photo of a Falcon 1 first stage.